The first time I entered and finished the Great Chesapeake Bay Swim (2005) I came out of the water and said "I'm glad I did this once but I never want to do it again." Two years later I wanted to do it again and did. And now, five years later, I have done it for the third time. This year, three men were recognized who have done it 25 years in a row. Multiple swims are the exception, however. 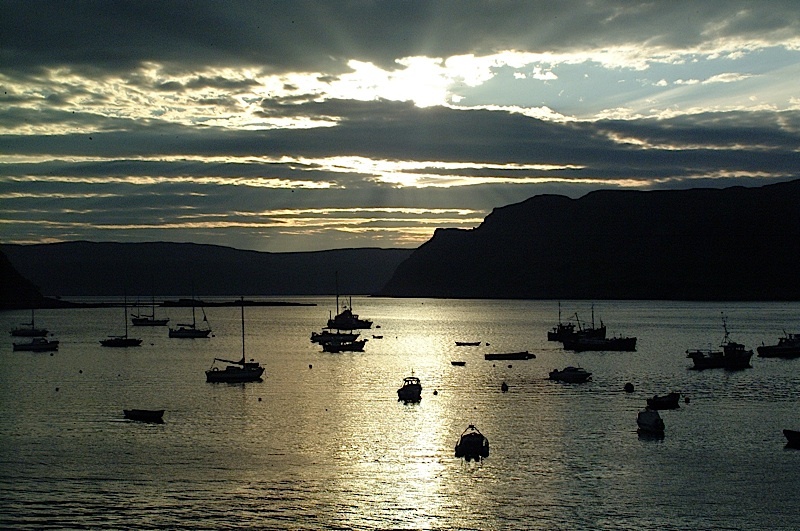 Sixty percent of those who complete the bay swim only do it once. The length of the bay swim is 4.4 miles and that assumes that you swim straight from point to point and don't wander off course. The swim starts at the beach at Sandy Point State Park near Annapolis and ends at Hemmingway's Marina on the opposite shore. The picture shows swimmers and others waiting for the start at Sandy Point and the bridge in the background. It is interesting to watch the first time swimmers gazing across that distance and pondering the swim. Except briefly at the start and finish, the course is between the two spans of the Chesapeake Bay Bridge. This year 640 swimmers participated, selected by lottery from about 1200 who applied. In addition to the lottery there are qualifications you must document. The sponsors ensure that all swimmers are experienced and qualified for this challenge. 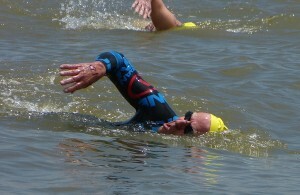 The 2012 swim took place on Sunday, June 10th. I started preparing for the swim in early December. My normal routine was to get up at 4:50, be at the pool by 5:50 and ready to swim at 6:00. I averaged 10 miles a week and tried to complete a 3 mile swim once a week. After the lottery winners were announced in January, and I was among them, I purchased a new wetsuit and began practicing in it periodically. As June approached, and there were other shorter swims to do, I tapered off on the weekly mileage. It was then that I hit on another sort of preparation for the swim. This preparation relates to the fact that the challenge isn't just physical, it is mental as well. Two to three hours is a long time to swim. It helps if you can pace yourself and keep your bearings. It hurts if you think you're farther along and give yourself false hope. Out there in the middle of the bay this year, I paused to check my watch. A woman nearby asked me if I knew where we were. Those were her exact words. And I did know where we were, I new exactly. I told her we had come three miles and had a mile and a half to go. My mental preparation for the bay swim may seem strange and unusual. What I wanted to accomplish was to memorize the bridge and its distances so that I would always know where I was. I did this with Google Earth and especially its "Street View" feature. Street View is designed to give you a 3-D experience by allowing you to place your position at street level and then to move around and look around. It works pretty well if you place ourself on an actual street in a city. When I used it to place myself on the surface of the Chesapeake Bay beneath the bridge I found that oddly the view shows a gap between the water surface and the bridge supports. However, the bridge detail is exact and remarkable and and I found that I could "swim" the route and observe every detail of the bridge as I went along. I "practiced" the swim many times using this technology and basically memorized it. I also placed my viewpoint upstream and downstream from the bridge and studied its details from the side. I can't over-emphasize how useful this mental preparation was for me. My 2012 swim went well. I had hoped to complete the swim in two hours and thirty minutes. I finished in two hours and forty-one. The top finishers were slightly under one hour and thirty minutes – amazing. Among the 640 swimmers I finished 504th overall. I did, however, have the winning time in my age group. At this time I feel positive about swimming the bay again next year. For a swimmer, it is an adventure almost unmatched.